Some pictures at long last.... in a couple of different lights and angles, I had to drive quite a way to get good light. Hats off, good job and mad skillz! That looks amazing, totally spurred me on to get mine done now. I was contemplating doing my wheels same colour as well. 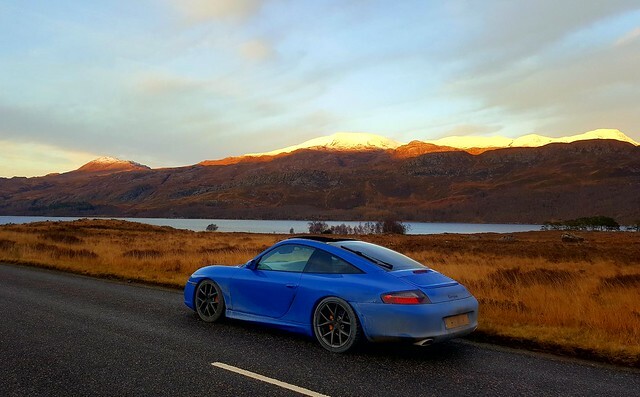 Spot on for doing a road trip this time of year as well up here. Very nice work. Targa looks fab! Yeah, but I also needed milk. In my head it looks good although it might be a shame to ruin how it currently looks. Road trips are to be done in all weather conditions? I have to admit, with the earlier photos I was worried it was going to look, er terrible... but now its all done it looks ace! Well done! Car looks ace. The new stripes and wheel colour change should top it off nicely. 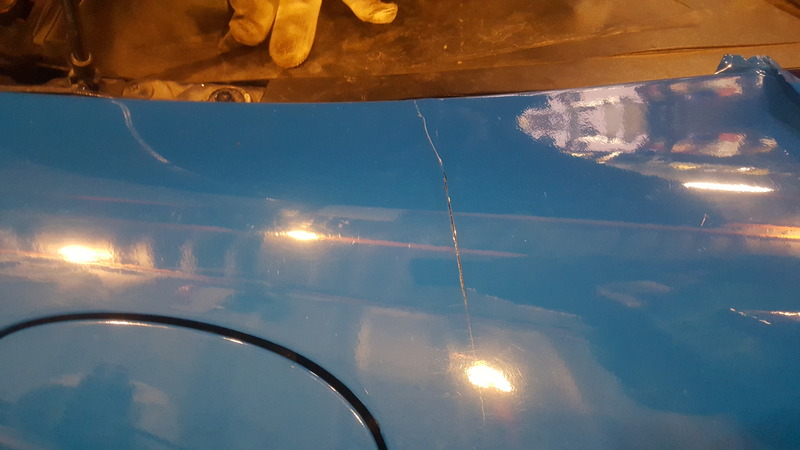 I've put the wrap through the ringer over the last couple of days with snow, ice and salt battering the car and I do have a bit of lifting on the front wheel arch edges of the side skirt, I think previous stone chips have let the weather get behind it, so one more panel to re do but will require prepping and sealing a bit better. In general though I'm happy its mostly holding up so well. I'm also surprised how just different light makes the colour change so much. I was told it was the same as Acrylic Lacquer so have used that on most exposed edges but only once the vinyl was stuck down, I sealed the edges with it. I just think the surface was a little rough and hadn't sealed very well, no major problem as anything else I have to re-do won't take long. I was told it was the same as Acrylic Lacquer so have used that on most exposed edges but only once the vinyl was stuck down, I sealed the edges with it. 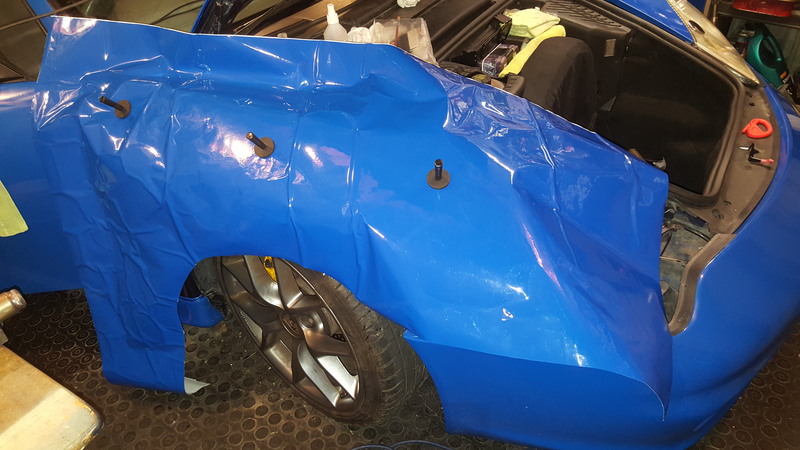 Admittedly I've only ever used Primer 94 as an adhesion promoter with VHB tapes (ie: 3M 4611F), but it makes a huge difference to how well things stick. Some updates on the wrap. 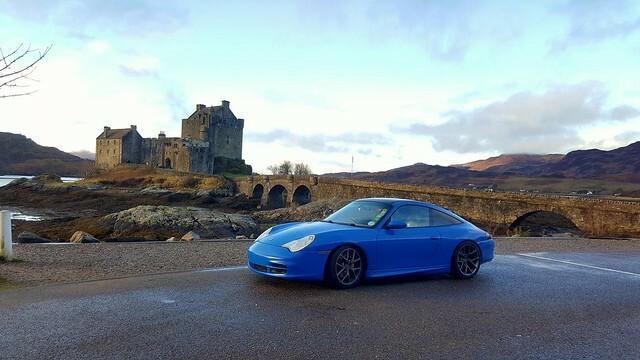 It has held up fairly well over the Winter but some edges had lifted at the rear wheel arches and a couple of other panels. I had already done the drivers front wing and the third brake light panel due to lifting and a crack on the wing back in mid January as you can see below. 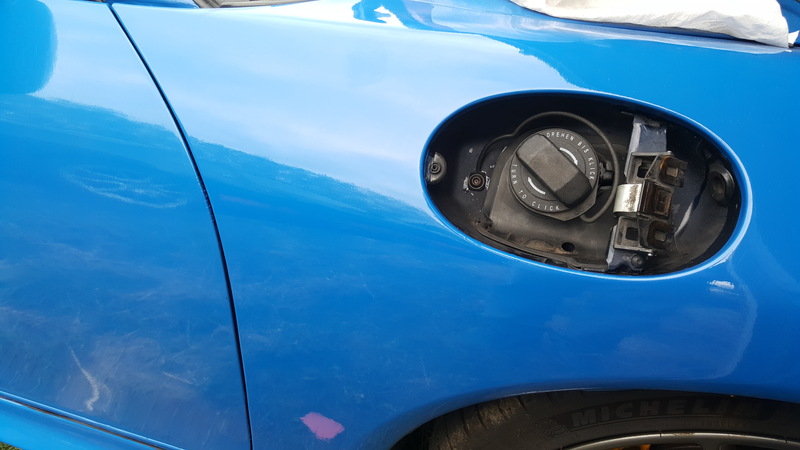 Today I wanted to correct some lifting I had around the filler flap and door edges of the front wing. With the weather being warmer the material is so much easier to work with and hardly needs any heat compared to when it was minus 3 degrees in November and January when I was doing it. 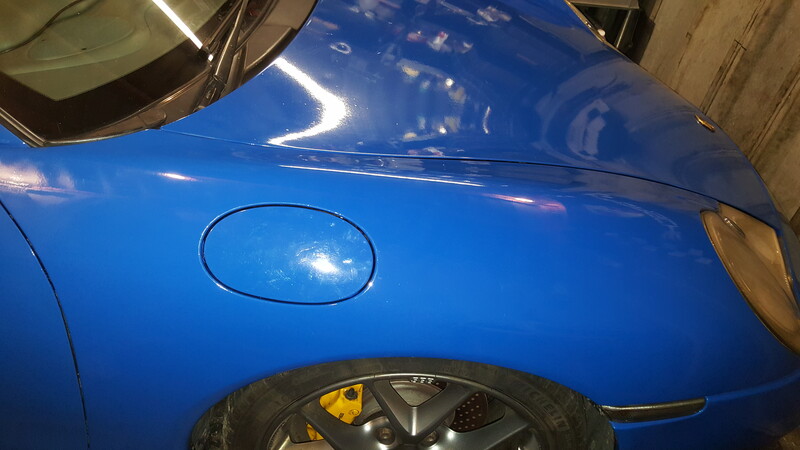 I took onboard about the 3M primer mentioned by Chris993C2 above and had bought a tin a few weeks ago in preparation. I pulled all the edges of the filler opening after removing the flap and the edge of the wing to where it was lifting. I cleaned them with IPA and edge coated with 3M Primer. 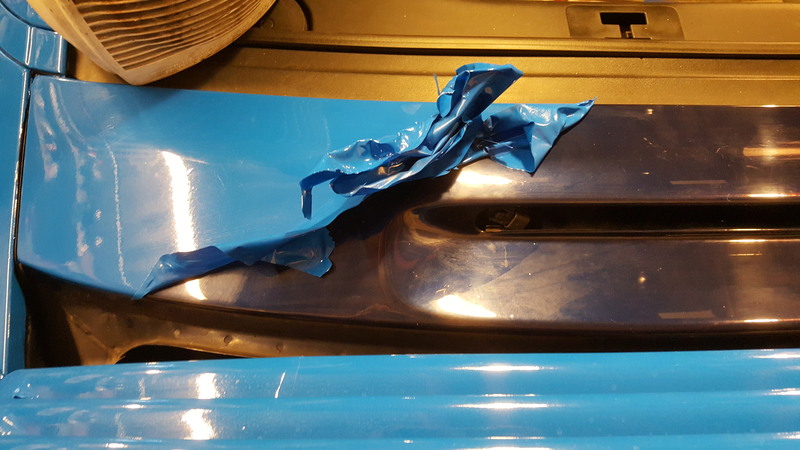 I had previously been using the acrylic lacquer but this didn't fair as well as I'd hoped, I think just in the first few instances the 3M primer seems to work better so I hope to use it on more lifting panel edges as I go around the car getting it ready for Summer. 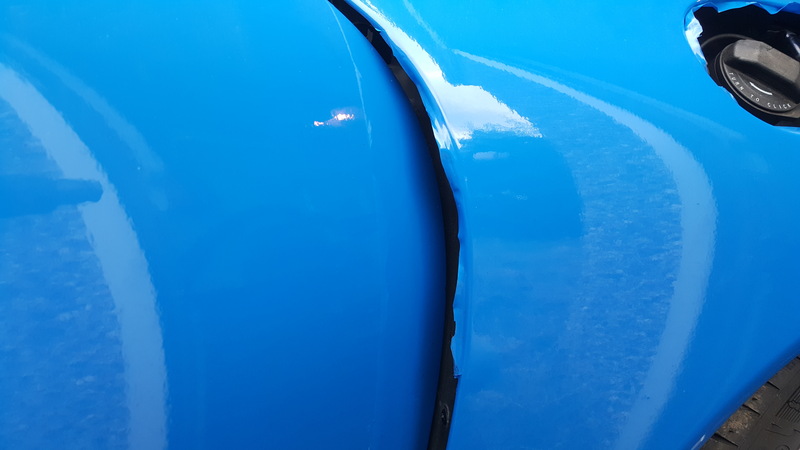 I still need to completely do the rear pop up spoiler, I have loads of bubbles on this, I think it may be due to the heat from the engine and the drivers side skirt due to stone chips and water ingress, I may double the wrap up on both ends for more protection. 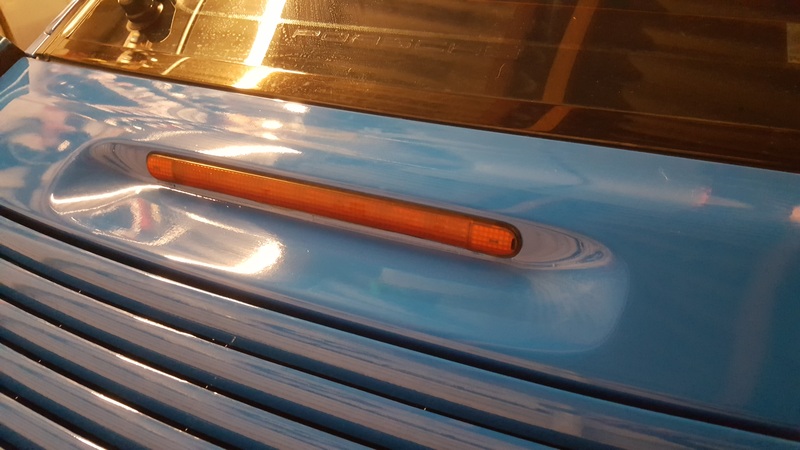 Unsure what to do about the rear arches yet but they may require fully wrapping again, in which case I will probably have to buy more material. Great work. 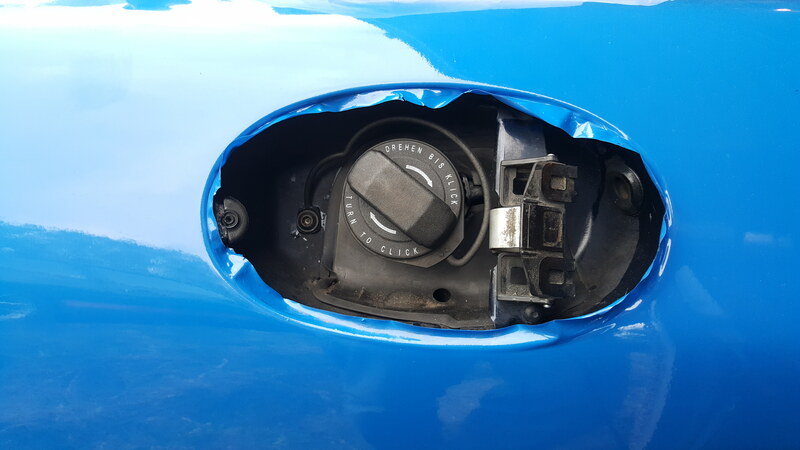 The colour reminds me of Jaguar French blue. I've tried wrapping a few bits but I just don't have the patience for it. It always looks so easy when you see the pros do it. Can I ask what those wheels are and what sizes?